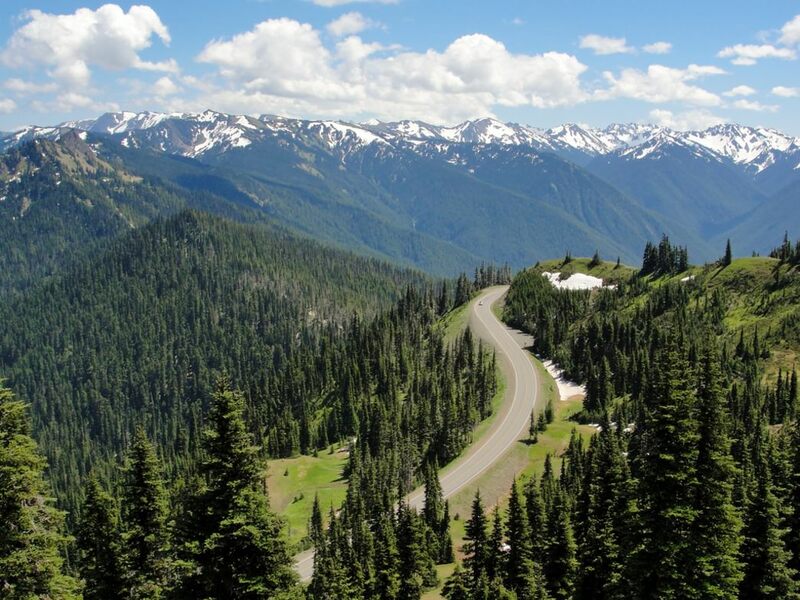 Cyclists will have Olympic National Park’s Hurricane Ridge Road all to themselves on August 3. Officials are closing the road from 7 am—12pm for the annual Ride the Hurricane bike ride. 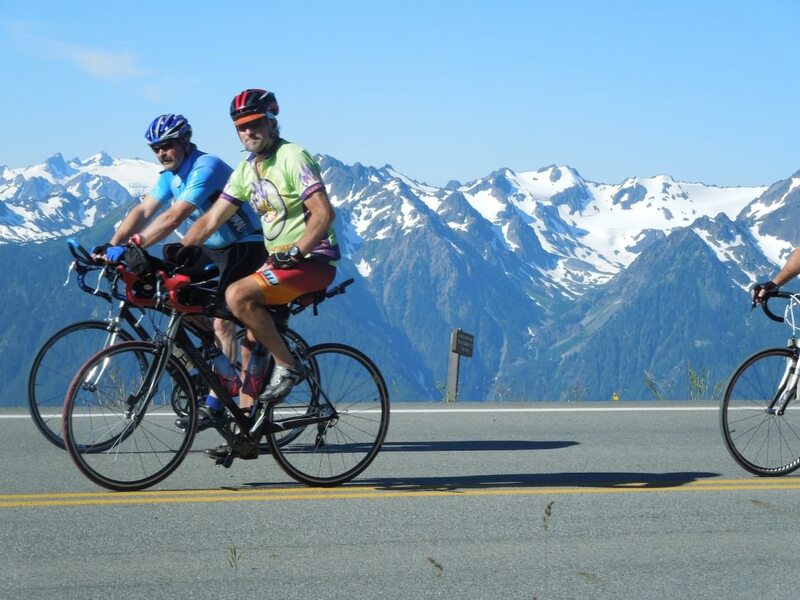 It’s one of Washington’s classic rides, and a tough one with a 5,242 ft. elevation gain at a constant grade. 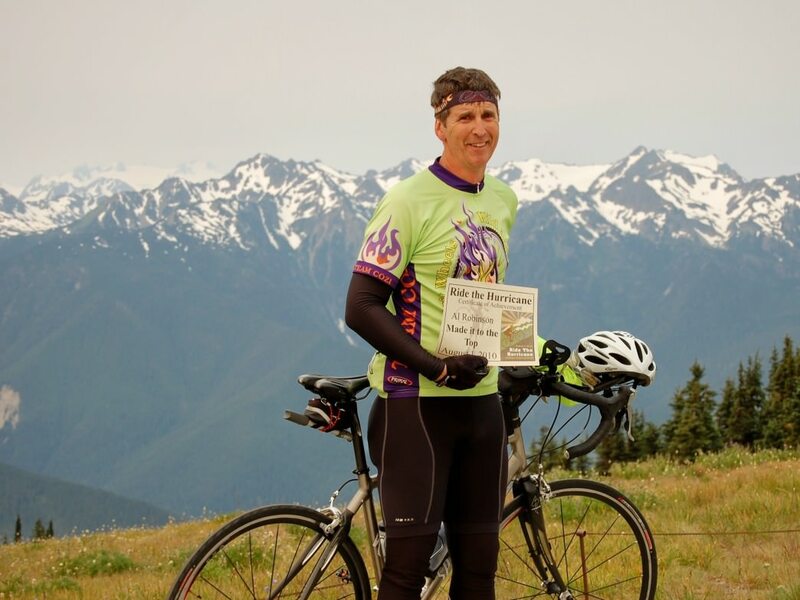 Cyclists climb flanked by beautiful evergreens and spectacular views all the way up to Hurricane Ridge in Port Angeles. The ride starts at the entrance gate by Heart of the Hills Campground for a 24-mile ride round trip, or from the base of the lower ridge road for a 36-mile ride round trip. Several rest and aid stations along the way will offer water, restrooms, and tools. Medical support is available at the half way point. 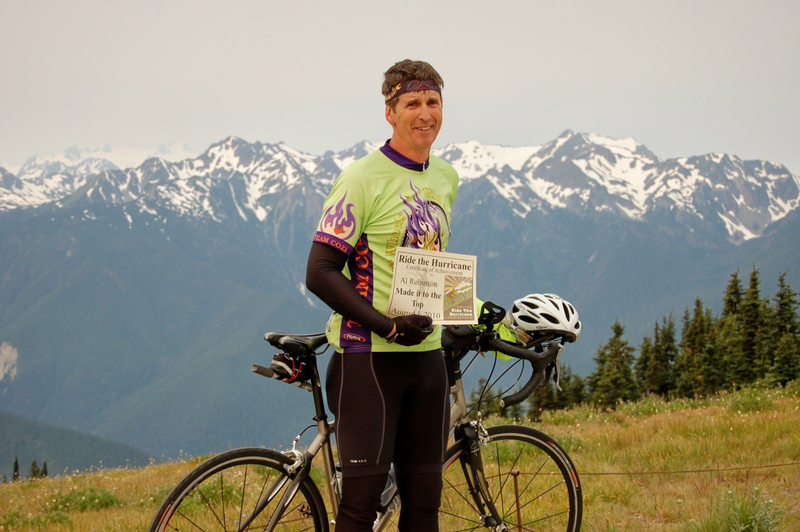 Get your photo taken at the summit with the Olympic Mountains as your backdrop and enjoy snacks at the Summit House. The ride down can get cold, so be sure to bring some warm clothes and try not to go too fast. The speed limit is 30 mph, and rangers will be monitoring speeds. Spectators may use the free event shuttle, which departs the Peninsula College parking lot at 7:30, and the summit at 9 am, then again at 10 and 11:30. Hang out and celebrate with comrades in the Peninsula College parking lot where there will be post-race refreshments. Registration begins at 6 am, is $40, and includes a jacket and number, though this is a non-competitive ride. A portion of the proceeds will benefit Discovery Trail. Riders may head up the lower ridge road after registering. The gate at The Heart of the Hills entrance opens at 7 am. To get there, take RT 101 into Port Angeles. Go south on Race Street, toward the mountains. A large banner at the corner of East Park Avenue will direct you to registration. From there, go left a half-mile to the Peninsula College parking lot at 1502 East Lauridsen Boulevard. Visit Ride the Hurricane for more information.